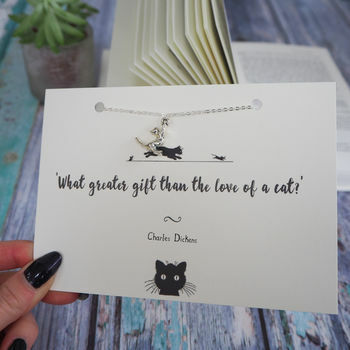 A beautiful cat charm necklace presented on a postcard print of Charles Dickens' famous cat lovers quote. 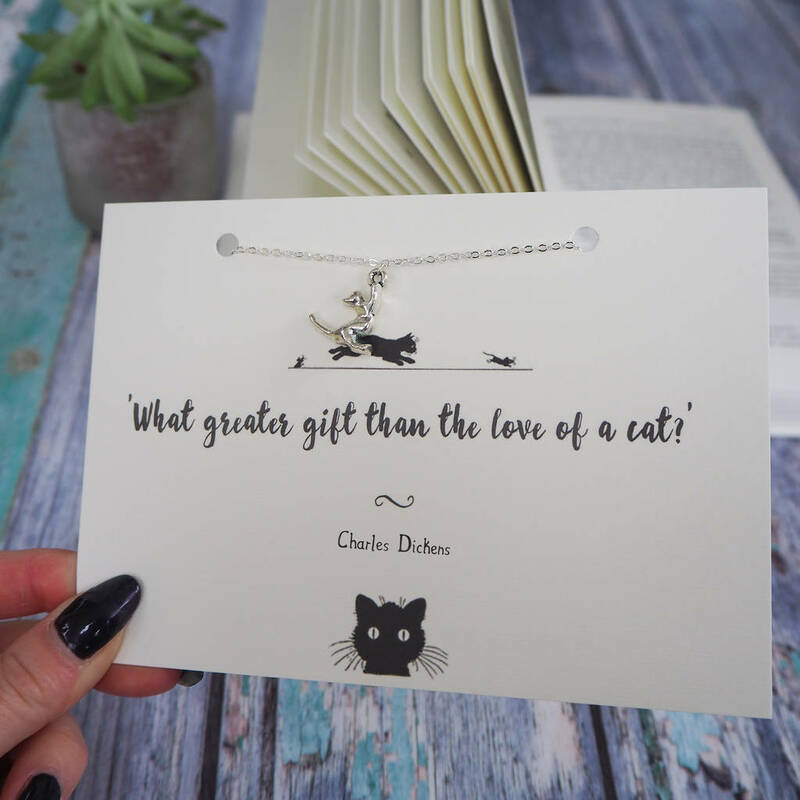 This necklace is a fun and unique gift for a loved one, friend or cat lady! 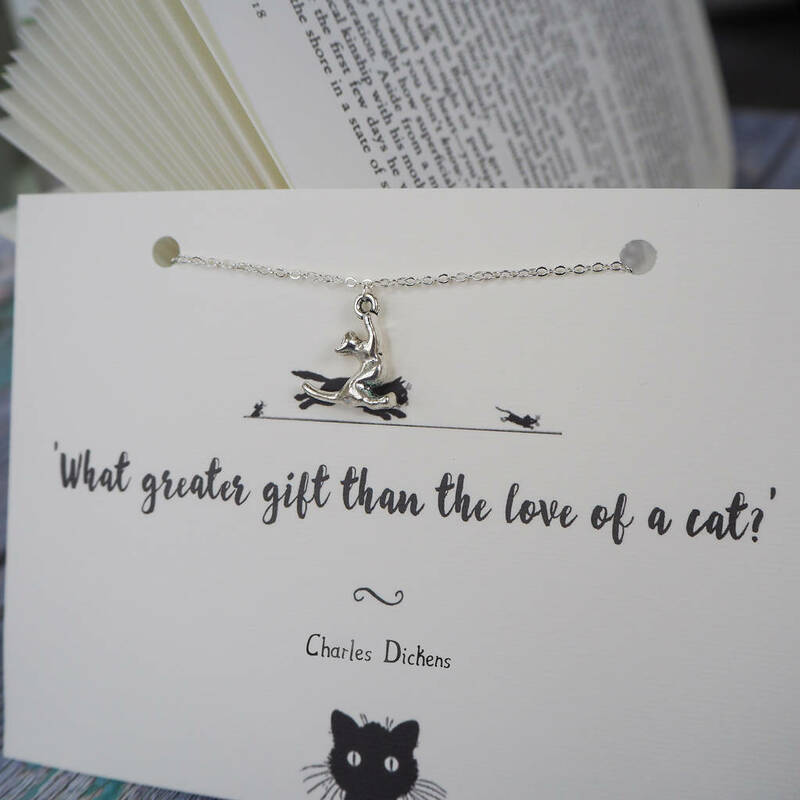 An unusual literary themed gift that is suitable for any occasion including birthdays and Mother’s Day. 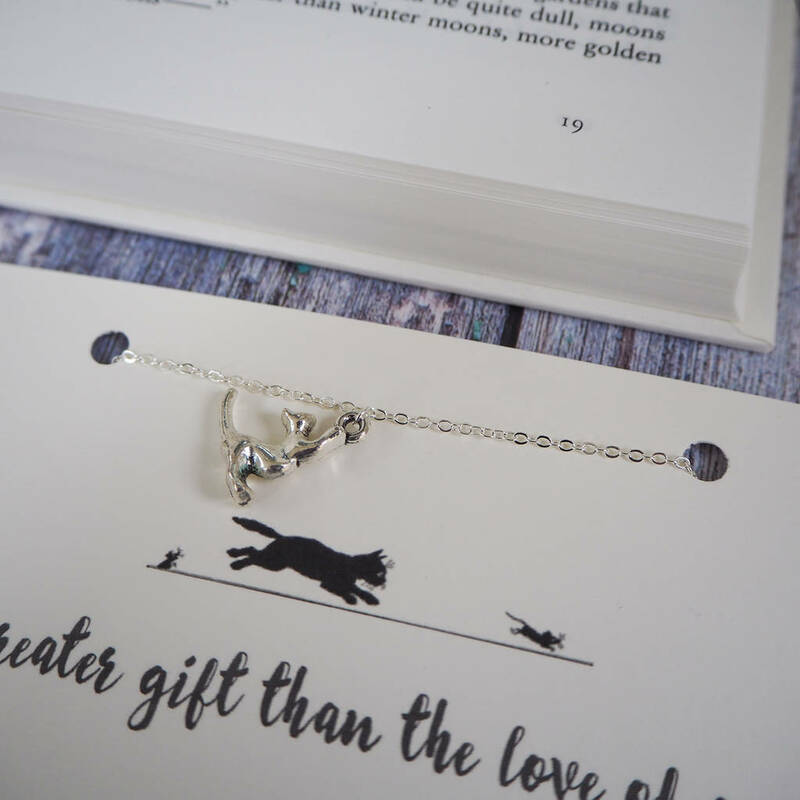 This cat necklace is handmade using a delicate silver plated trace chain and a silver coloured charm. Neckace is a silver plated trace chain.